Stunning aubergine hatinator for a wedding a guest, mother of the bride or groom, or a day at the races. 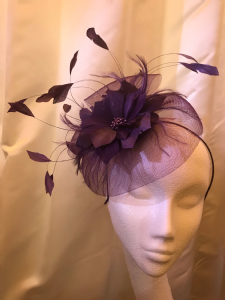 More than just a fascinator, this head piece has a flower centre with tiny pearls on a crin base, and sits on a slim and barely-there metal band. The statement feathers add interest and height. 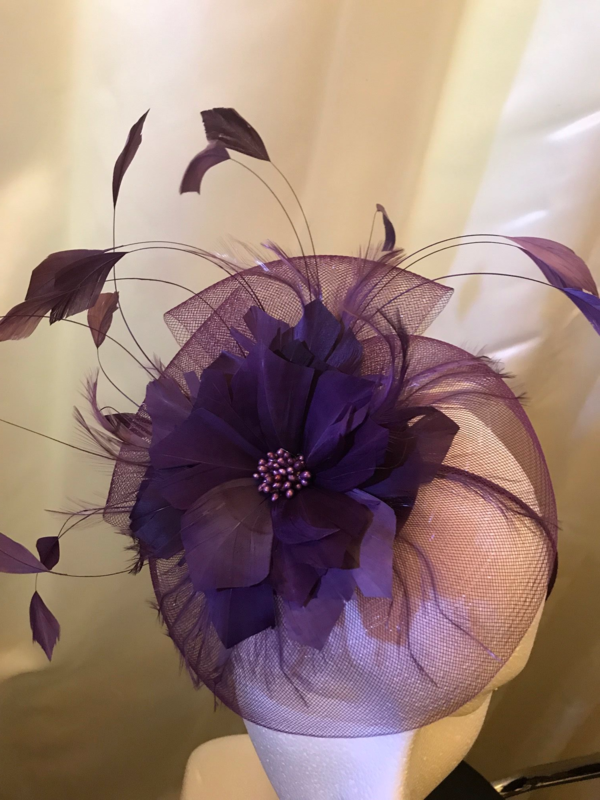 If you are unsure about the colour of this millinery piece then please don't hesitate to contact us, or send a photograph of your outfit. aubergine is a difficult colour to photograph!